Ben Gurr/WPA Pool/ Getty ImagesMike Lynch will fight the charges. The charges allege that Lynch and Autonomy’s former vice president for finance, Stephen Chamberlain, inflated the firm’s earnings from 2009 to 2011. “These stale allegations are meritless and we reject them emphatically,” Lynch’s lawyers said in a statement. Lynch sold Autonomy to HP for $US11.7 billion (£9.2 billion) in 2011. A year later, HP’s CEO claimed the company had wildly inflated its earnings, and subsequently wrote it down by $US8.8 billion. In response Lynch launched a countersuit, claiming HP was scapegoating him for its own incompetence. On Thursday, the US Department of Justice filed 14 charges of fraud against Lynch in a San Francisco court, along with Autonomy’s former vice president for finance Stephen Chamberlain. The charges carry a maximum sentence of 20 years in prison. The charges allege that Lynch and Chamberlain inflated Autonomy’s earnings from the beginning of 2009 until October 2011, when it announced its sale to HP. The DoJ is also seeking to make Lynch return the $US815 million he made from selling Autonomy. “This indictment is a travesty of justice. 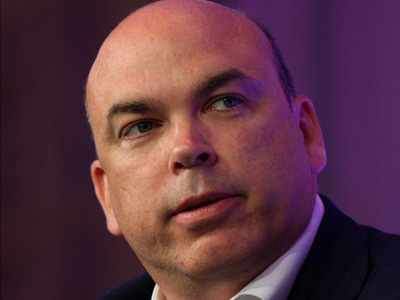 Mike Lynch is a world-leading entrepreneur who started from nothing and spent his life building a multi-billion dollar technology business that solved critical problems for companies and governments all around the world. These stale allegations are meritless and we reject them emphatically. “This case is unsupportable. It targets a British citizen with rehashed allegations about a British company regarding events that occurred in Britain a decade ago. It has no place in a US court. The claims amount to a business dispute over the application of UK accounting standards, which is the subject of a civil case with HP in the courts of England, where it belongs. “There was no conspiracy at Autonomy and no fraud against HP for the DoJ to take up. HP has a long history of failed acquisitions. Autonomy was merely the latest successful company it destroyed. HP has sought to blame Autonomy for its own crippling errors, and has falsely accused Mike Lynch to cover its own tracks. Autonomy’s former chief financial officer Sushovan Hussain was convicted of fraud in April. Hussain is currently trying to overturn the conviction.